The adventure theme from Disney/Pixar's Academy Award®-winning film Up was pure joy with its funny and touching story! 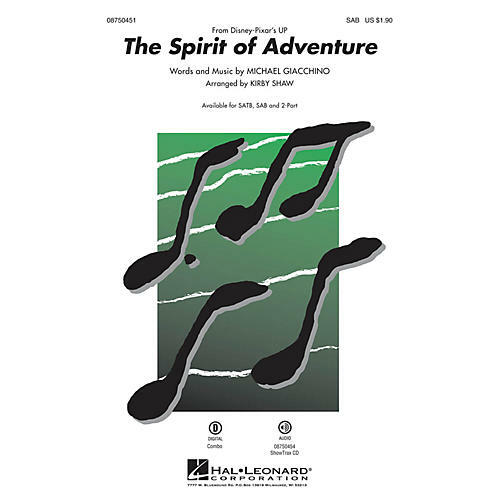 This song from the soundtrack captures the whimsy and wonder of the film and will be an excellent selection for choirs and audiences of all ages! Available separately: SATB, SAB, 2-Part, ShowTrax CD. Combo parts available as a digital download (tpt, cl, tbn, bjo [gtr], b, dm). Duration: ca. 2:15.